Don’t just pick a card—any card—pick the iCard USB with accompanying vinyl pouch. 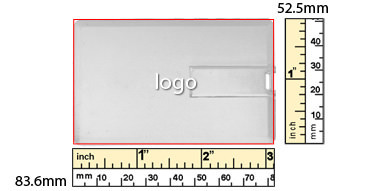 Deliver your clients’ photographs in an elegantly slim and unique manner with the iCard USB drive. 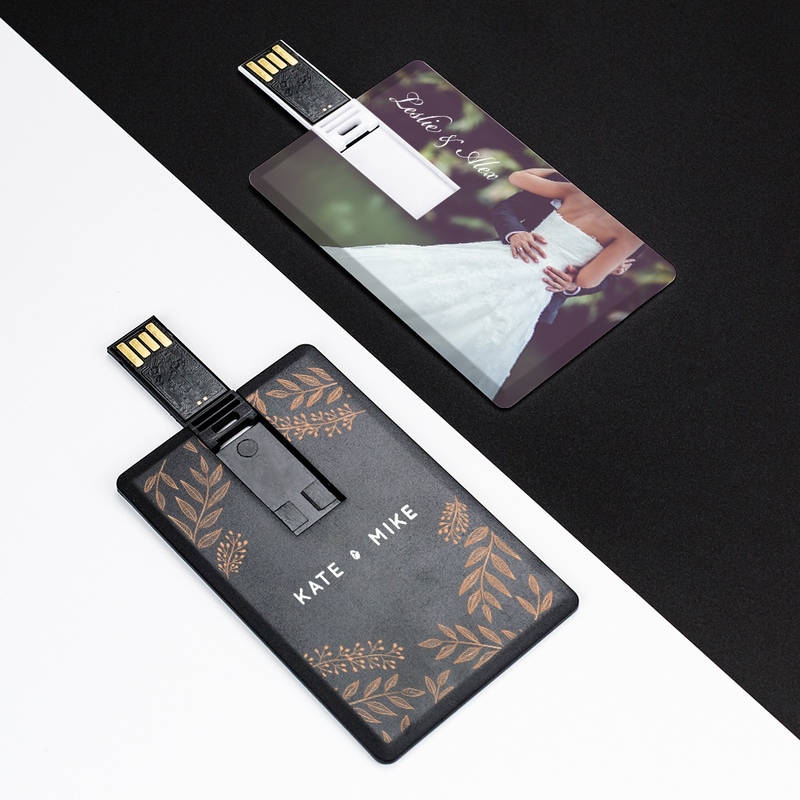 This slender custom USB drive for photographers offers excellent print space and customizable features to tailor your presentation to your and your client’s desires. 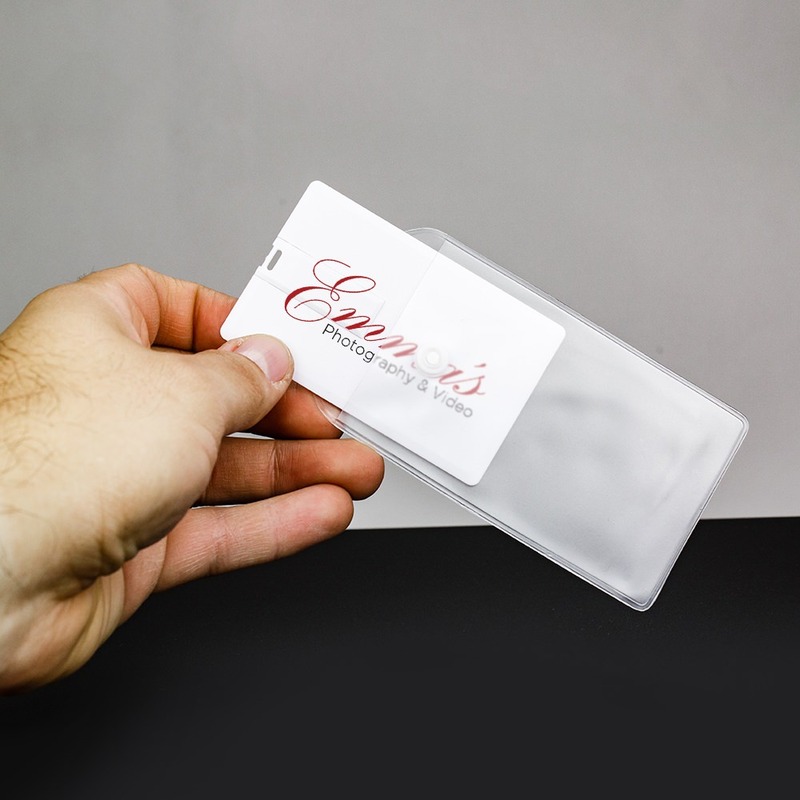 The drive is perfectly protected from harm with its hidden swivel design that does not impede your custom printing. It makes a great wedding USB! The iCard has a lot to offer. It is an excellent blank canvas to truly customize your clients experience with little touches that result in big impact. The drive comes in either white or black and allows for a generous print space for monograms, logos, or custom artwork that our high quality printing techniques will do justice. 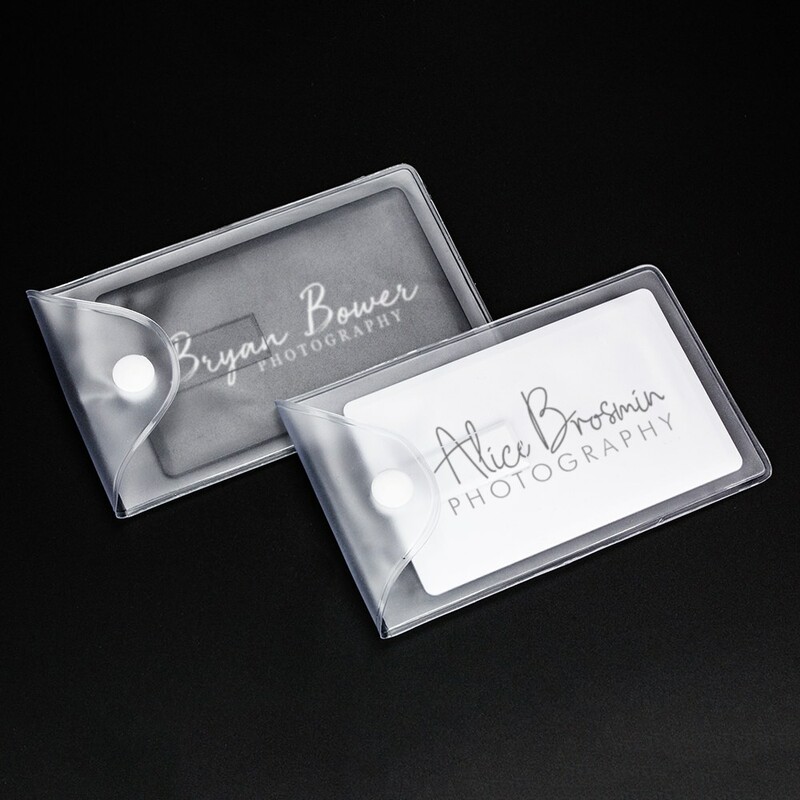 The translucent vinyl pouch, with its sturdy materials and firm snap closure, will also ensure your client’s photos are properly wrapped, secured, and safe from the elements. The drive comes in a large span of storage capacities, starting at 2GB and ending at 64GB for both white and black drives. 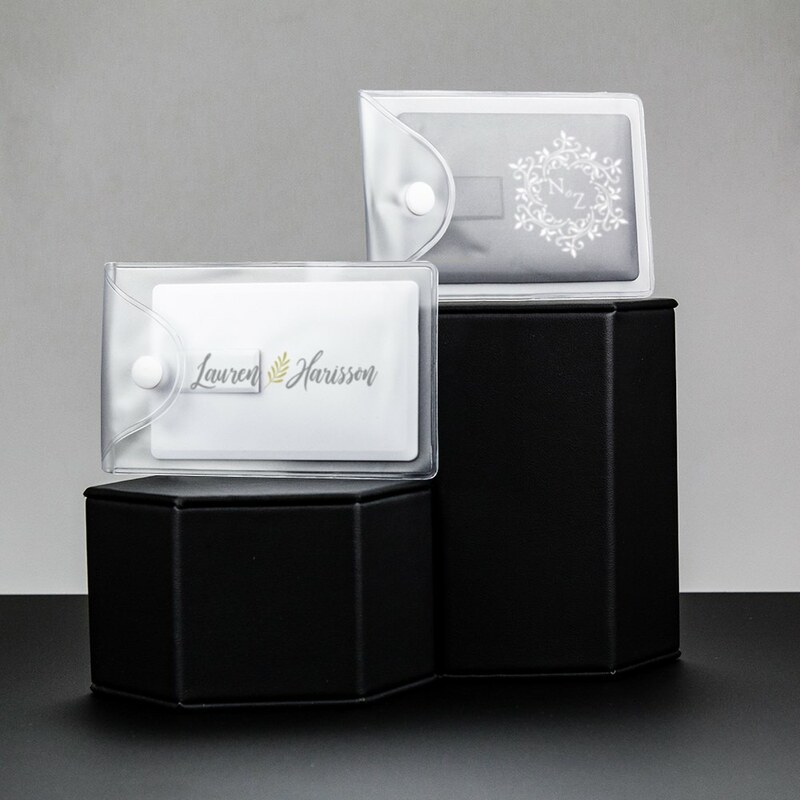 Overall the iCard’s excellent customizable features and affordability make it a top choice of USB packaging for photographers.